White/Slate Mini Check Pique Think Fast Pullover. 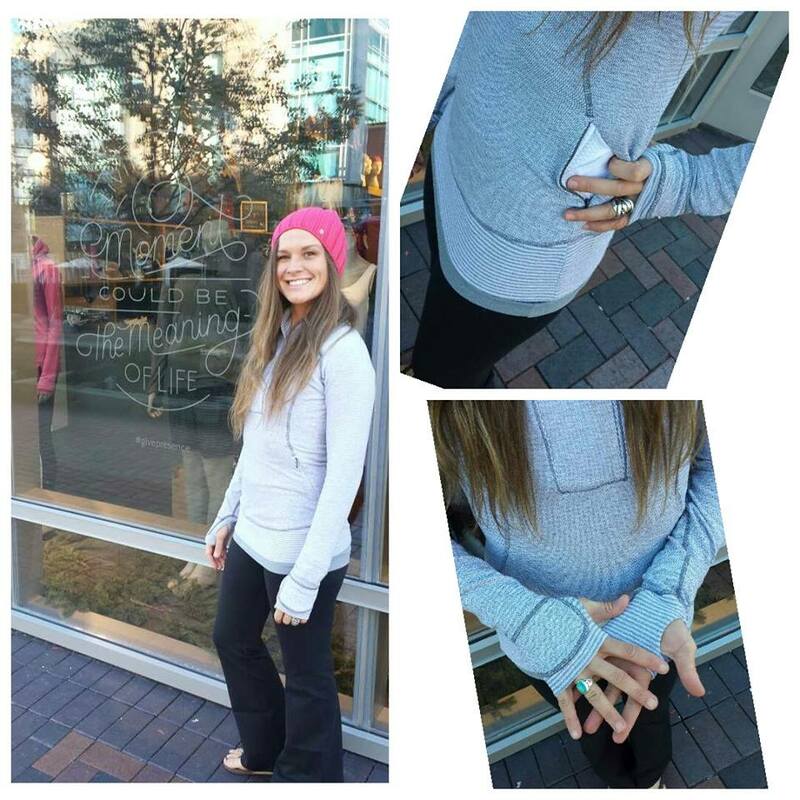 Shown with Groove Pants and a Blissed Out Toque in Boom Juice. 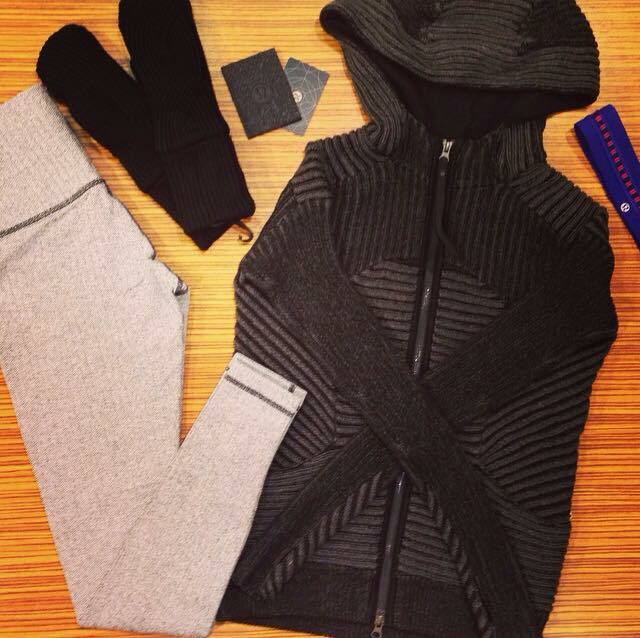 Think Fast Hoodies in Pique and Herringbone. Shown with Deep Cranberry Brushed Speed Tights. Some Embrace Hoodie Photos. I tried this on yesterday. The dropped arm seams kind of killed it for me. I tried the size down to make the body less bulky but then the arm seam was too snug on my upper arm. If you have thinner arms you should be able to size down just fine. I thought it was comfortable and would pick this up on a nice markdown for use around the house. Shown with Better Together pants in the third photo. I'd call the sizing a roomy TTS (except for that arm seam). I tried the Wild Tank on yesterday and was surprised to find the bra a lot more supportive than a regular Free to Be Wild bra. The straps on this seem to be the same ones used in the Energy bra so that explains the better support. I kind of liked this tank but the back is too revealing for my comfort zone. 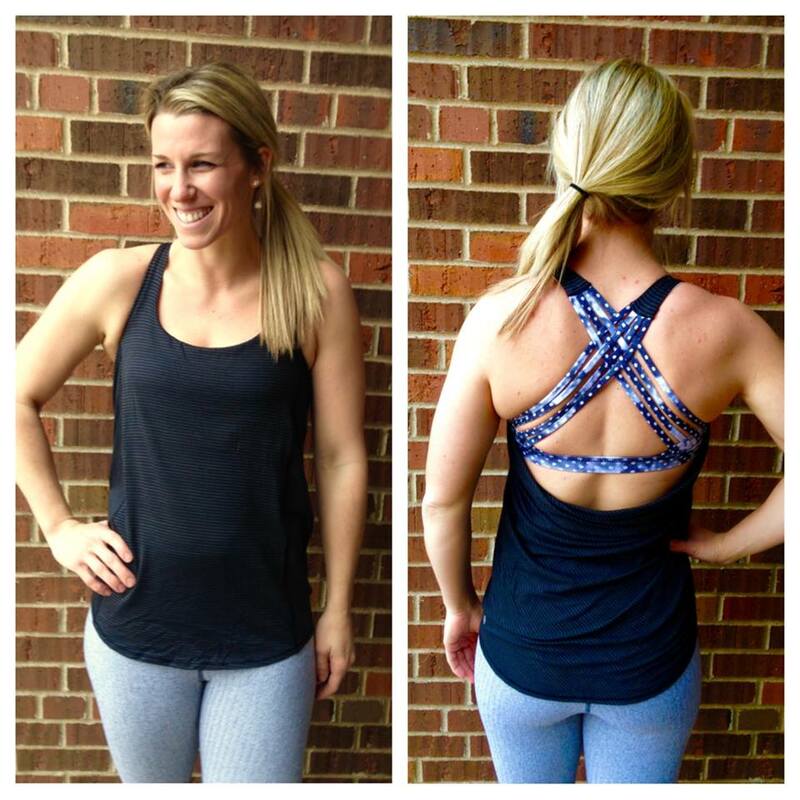 I would love if lululemon produced just the bra from this tank, the Wild Energy or something like that. The FTBW bras give me zero support but I could work with the bra from this tank. I thought the fit was TTS and the support was decent (I agree with the medium designation the website uses). I also tried on the white Herringbone Roll Down Wunder Under Pants. They were very stretchy and soft, unlike the tight-fitting brown Giant Herringbone Wunder Under Pants. The light color was not very flattering on my larger legs and the color made me feel like I was wearing PJs. They were super comfy, though. 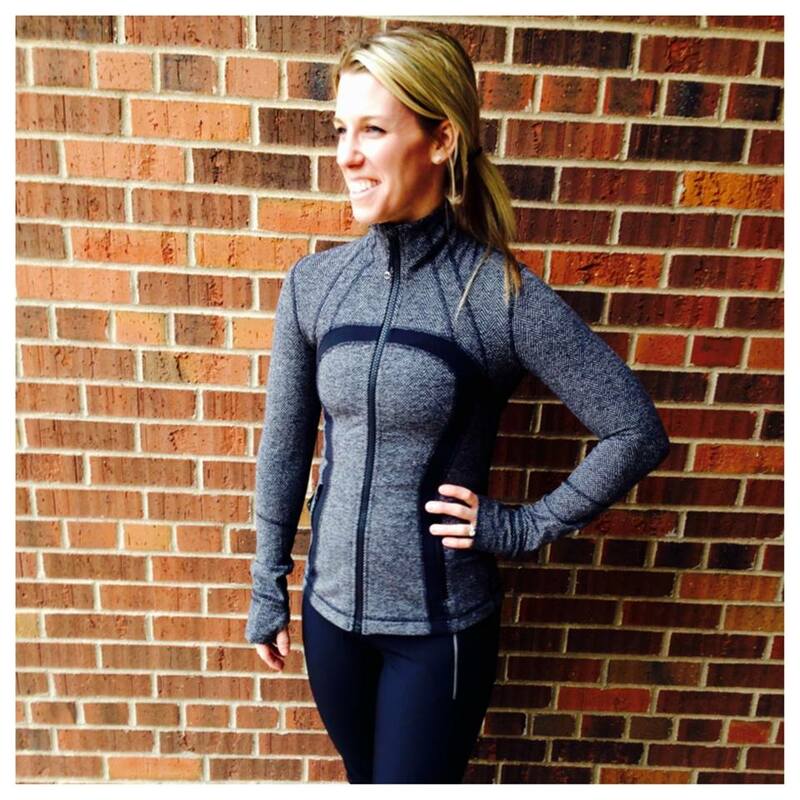 Shown with an Exquisite bra in the top photo, Embrace Hoodie in the second, Wild Tank in the third, and the Emerge Renewed Jacket in the last. Classic Manifesto Speed Shorts, Ultra Violet 105F Singlet, Neutral Blush/White Stained Glass Love Energy bra. The new Giant Herringbone and White Defines. I am reading the GH Define runs small and people are sizing up in this. LLA, initially I felt like the wild tank was too revealing as well, but do you think it is more so than the Flow and go tank? I have the flow and go and love it. So I am wondering if the wild tank is more revealing than that? @ anon 10:57 pm - No, they're probably about the same. I am uncomfortable wearing tops that reveal my lower back but I know that lots of people love and rock them. They're just not for me. Thanks for your fit report on the Wild tank. I'm a little leary of the back as it might create/reveal back fat for those of us on the right scale of the sizing range. I'm going to give it a try. Those photos at the top have got to be from the Santa Monica store. That pic underneath the pier pretty much has sold me on that cable knit hoodie. I'll have to go try it and the wild tank on now. @Ching- It is from Santa Monica. I liked that hoodie a lot but will wait for it to hit MD. I went to my local lululemon and tried on the herringbone define in my size as well as a size up. The issue I had was with the sleeves on the define feeling tight. However, when I tried on a size up, the arms were better but then i had excess material at the armpits and the back venting was bagging out. When I spoke to the educator, he suggested that I stick with my TTS since the jacket may get looser with wear and since I don't usually layer too much under my jackets. I compared it to a forme that I was wearing and the cut of the TTS matched better than the size up, it's just that the herringbone material is more compressive than the regular luon in the solid colors because of the nature of the cloth. I keep going back and forth with the wild tank. the white one is really calling my name. I agree that if they made an energy bra wild it would be a big seller. Also, I picked up the Giant Herringbone Define the other day and totally sized up to an 8. I have a little extra room in the waist, but I thought my TTS 6 was almost uncomfortably snug. eh i don't think the define needs a size up. i agree it's snug but i think that's the point. when it is all loose around my body, i find it unflattering because the define is very good with body curve definition. i stuck with my tts. 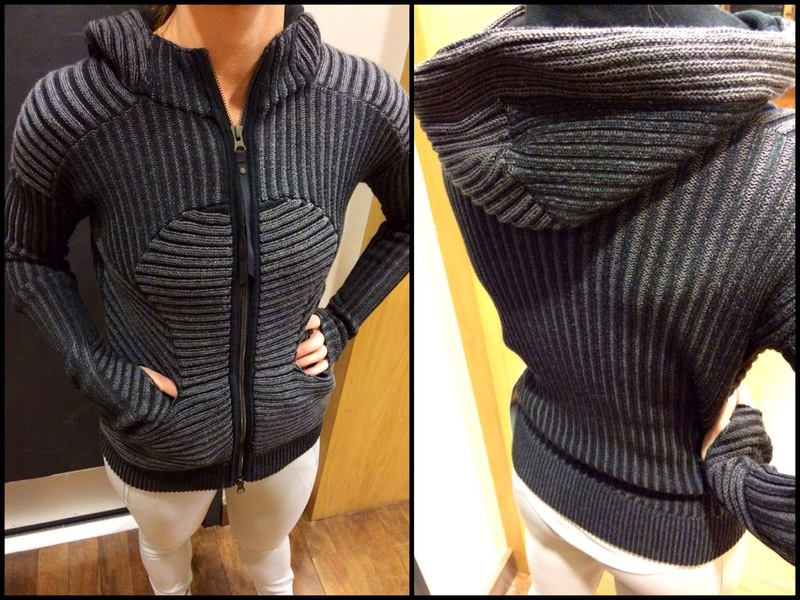 Embrace Hoodie Luscious Does Have Sherpa Lining!